What do you get when you have creative team members, 125 hours, 700 hot glue sticks, and a boatload of cardboard? 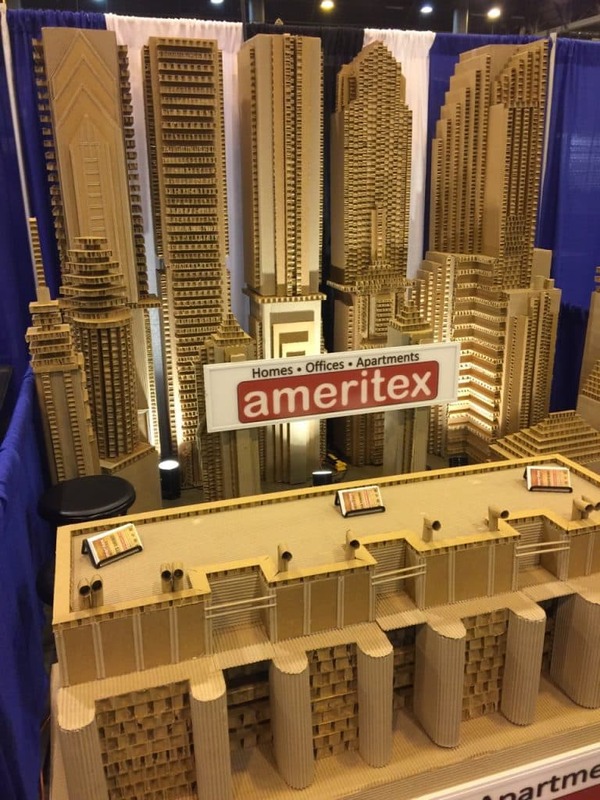 If you’re Ameritex Houston, you get a cardboard cityscape of Houston that wins you first prize at the Houston Apartment Association Education Conference and Expo. The annual HAA event is the largest local apartment association expo in the country. This year’s “It Starts Here: Attitudes, Behavior, and Results” drew a large crowd with multiple seminars from industry leaders, and a trade show full of leading vendors. And our team at Ameritex topped all entries in the HAA contest category single booth display to bring home the grand prize plaque. How Can We Assist Your Move? Are you considering a move in the Greater Houston Area? We bring that same award-winning determination to attend to your moving day needs. No matter where you’re moving in the city, our professional movers have you covered. We handle moves from Downtown to Katy, and everywhere in between. Call us today at 713-484-6683 for more information. Or, fill out the handy form at the top of the page and get a quick moving quote.